4045 Iverness Lane West Bloomfield Twp, MI. | MLS# 219027732 | The premier resource for all real estate information and services in Metro Detroit. OFFER ACCEPTED 04/12. STILL SHOWING. BACK UP OFFERS ONLY. 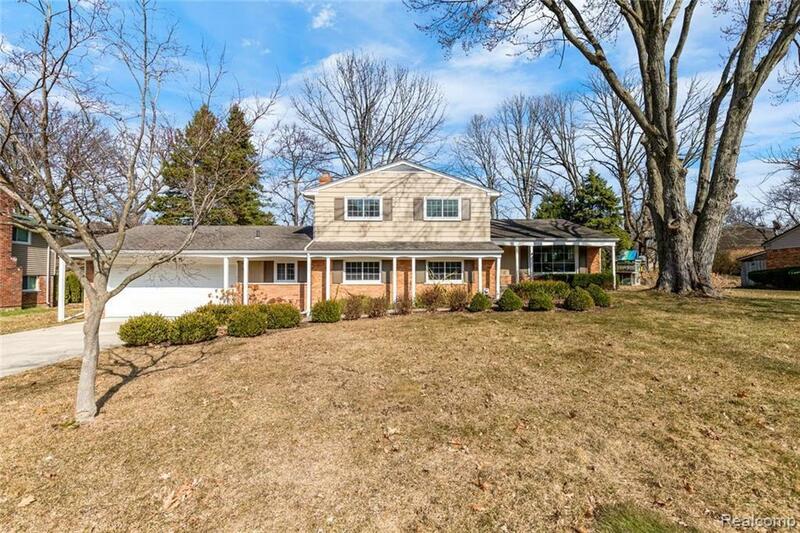 STUNNING 4 bed, 2 1/2 bath Tri-level Home with AWARD WINNING BLOOMFIELD HILLS Schools. PINE LAKE PRIVILEGES. THIS IS ONE OF ONLY 50 HOMES in the sub with DEEDED BOAT LAUNCH/DOCK ACCESS to ALL SPORTS PINE LAKE. Home has been meticulously maintained and cared for. Great floor plan with spacious rooms on every level. Large dine-in kitchen with hardwood floors, white cabinets, built-in range, oven and microwave. Dining area opens to the kitchen and living room with doorwall leading to concrete patio and a large back yard. Lower level features huge family room with natural brick fireplace and powder room. Lower level also features a 4th bedroom and den with 2nd natural fireplace with doorway to second concrete patio. Oversized 20 x 25 garage with Gas furnace. Newer vinyl windows and doorwalls with plantation shutters throughout. Newer boiler. GREAT NEIGHBORHOOD with PRIVATE BEACH and PARK on ALL SPORTS PINE LAKE with Lifeguard.